Doing the ABC's Movie Style!! Topic: Doing the ABC's Movie Style!! Re: Doing the ABC's Movie Style!! It's a bird, it's a plane, it's a frog...no, it's Disney's Underdog — a flying, talking canine caped crusader! After an accident in the mysterious lab of mad scientist Dr. Simon Barsinister, an ordinary beagle named Shoeshine finds himself with extraordinary powers...and the ability to talk! Armed with a fetching superhero costume, Underdog vows to protect the beleaguered citizens of Capital City and, in particular, a beautiful spaniel named Polly Purebred. When a diabolical plot by Barsinister and his overgrown henchman Cad threatens to destroy Capital City, only Underwear...(oops! )...Underdog can save the day. Based on the original hit animated series Underdog — your family will love watching the next great hero take a big bite out of crime. Always a favorite of mine to watch, trust me, this is way better than that old cartoon!! I especially love the special feature music video with Kyle Massey. Speed of lightining, roar of thunder! Haha! I shopuld make dad sit through that!! But the movie, what can I say? It was nice for the family, brought a cartoon (which I though was horrible by the way) to the big screen and DVD, which is something I wouldn't think possible. If your looking for a fun little superhero movie, I recommend this. Eddie Murphy's got the bite stuff in this movie mix of bone-chilling horror and chill-out comedy directed by Wes Craven (A Nightmare on Elm Street). As the vampire Maximillian, the popular star is the most diabolical, dashing and definitely undead dude in the 'hood'. To add to the macabre fun, Murphy morphs into two other must-see characters: a paunchy preacher and a fast talking thug. Angela Bassett (The Score) plays the cop who's world is rocked by Maximillian's attempts to make her his mate for eternity. And Kadeem Hardison is the vampire's haplessly decaying sidekick. Brooklyn may be home to the undead now that Max is around – but that means it's livelier than ever! Definitely one of my favorite vampire movies, but then again I haven't seen that many. On the mystical island of Themyscira, a proud, strong warrior race of Amazon women lives in a utopian civilization shielded from the corrupt world of man. But a betrayal within the Amazon sisterhood leads to the escape of Ares, the God of War, and Amazon Princess Diana must capture him before he unleashes global chaos and destruction. With the aid of cocky fighter pilot Steve Trevor, Diana tracks Ares to the United States for a battle unlike any humankind has ever faced. Alfred Molina, Virginia Madsen, Oliver Platt, Rosario Dawson and David McCallum – infuses thunder and passion into this epic tale of the princess who becomes the World's Greatest Super Heroine. 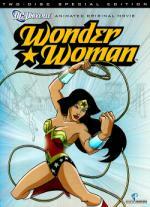 Short as it may be, a little over an hour (ignoring the credits) it is my favorite portrayal of Wonder Woman. Though I liked the 70s series, I didn't like how she seemed so ignorant to the outside world when she first arrived, and they never dived into that in the Justice Leagure cartoons. Here she is a strong warrior who simply wants peace and to bring the two worlds together, the way it should be. It has a fair amount of humor, and really is excellently done when it comes to accuracy on Greek myths. They really picked up on everything. I especially loved at the end, Steve, who was at first a womanizer, was playing the stereotypical female role. "I'll have to meet you at your apartment, Steve." "Ok, well, call me if you're gonna be late, I don't want dinner gettin cold!!" Ok, last day of the marathon, I'm gonna wrap it up with these 3 movies. I liked Underdog too. It was a gift from my youngest niece and nephews and is one we often pop in to watch together. And the music...you must have missed it...your dad actually watched Ray, a music filled DVD and he actually liked it! I will have to check out Vampire in Brooklyn - I had never heard of it but you make me want to see it. Thanks. Born into a world filled with prejudice are children who possess extraordinary and dangerous powers - the result of unique genetic mutations. Cyclops unleashes bolts of energy from his eyes. Storm can manipulate the weather at will. Rogue absorbs the life force of anyone she touches. But under the tutelage of Professor Xavier (Patrick Stewart), these and other outcasts learn to harness their powers for the good of mankind. Now they must protect those who fear them as the nefarious Magneto (Ian McKellan), who believes humans and mutants can never co-exist, unveils his sinister plan for the future! 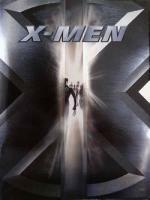 My one and only complaint is the use of Kitty Pryde in this first movie. (Not saying the trilogy cuz I can barely remember the other two.) To me, she is one of the major members of the X-Men! May not be all that powerful, but walking through stuff is still really cool in my eyes! She got one mention in the begining, a small appearance at the school, and that's it. I think it would hasve been interesting to, maybe, have her bunk with Rogue? Have her portrayed as the perky, teenage girl she was in the cartoon, X-Men: Evolution. Tell me that wouldn't have been sweet, or at least a little comic relief!! I think the writers pretty much nailed the characters, and Mystique was done very well. I also liked the little origin piece on how Rogue's hair turned white. That really was never explained, as far as I know, and lets face it, that's definitely the first thing you notice about her!! A enjoyable film for every so often. Kitty Pryde wasn't one of the original X-Men though, I don't think. She gets a nice cameo in X-Men 2 and a cute mention right at the end. Then she's in part 3 properly... You can't just have it all in the first film! Mel Brooks' monstrously crazy tribute to Mary Shelley's classic pokes hilarious fun at just about every Frankenstein movie ever made. Summoned by a will to his late grandfather's castle in Transylvania, young Dr. Frankenstein (GENE WILDER) soon discovers the scientist's step-by-step manual explaining how to bring a corpse to life. Assisted by the hunchbacked Igor (MARTY FELDMAN) and the curvaceous Inga (TERI GARR), he creates a monster (PETER BOYLE) who only wants to be loved. CLORIS LEACHMAN, MADELINE KAHN, KENNETH MARS and GENE HACKMAN co-star in this inspired vision of lunacy. Well, some parts of the movie was really funny. Others were, umm....disturbing? Idk, some humor in this is simply not my taste, though others, my dad included, would find it hilarious. I absolutely love Young Frankenstein. I saw it in a theater with a group of high school friends. We laughed so hard one of them ended up in the hospital - he tore an abdominal muscle! My joy in watching this film has not diminished over the years. My niece and nephews love it too and can almost recite verbatim the entire movie. I am like, 3/4 sure I reviewed this before, but this is an awesome role for Tim Allen, at least I think so, and he showed it in a Making Of video. "Cuz everyone wants these little lunatics....to be like ME!!" There are a lot of laughs here (I've watched this a bunch of times, so its not quite laugh-out-loud anymore) and I loved the comic book-style opening/ending here. Nice touch, and perfect music too, though if you talk to my dad, the perfect music is "mute"!! The fact of having a little girl be so strong, it's just, well, adorable!! Brittany finished the marathon before the month was over! And that is with quite a late start too!